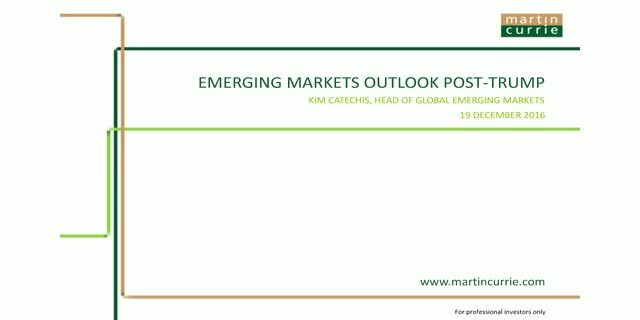 Kim Catechis, Head of Global Emerging Markets at Martin Currie will discuss the outlook for emerging markets in the post-Trump era, and explore what this means for emerging market equities. Accelerating growth, evolving technology and huge end user demand make the telecoms and internet key growth areas in the Chinese economy. Michael Millar, Portfolio Manager/Analyst from our Asia team shares his observations on these sectors following his latest research trip to China. Global markets have gone through a number of changes in fortune since the end of 1990’s, from the tail of the dotcom boom and bust, the commodities super cycle and the global financial crisis. Higher quality stocks have shown more resilience and delivered a better outcome for investors over this period, but have quality stocks benefited from a 15 year tailwind? In our webinar, portfolio managers Ken Hughes and Luca Fasan from our Global Long-term Unconstrained team, discuss ‘beyond quality’, considering the fundamental characteristics you need to look for in company to deliver on 10 year + time horizon? We believe to be a truly long-term investor you need to do more than simply screen for ‘quality’ and focus not on the share price but the economic returns of a company. 2014 was all about the recovery in India, 2015 was all about the slowdown in China, but there is a third pillar to Asia’s growth story. Certainly not ignored, but maybe temporarily back of mind. From the under developed Philippines and Indonesia, to the politically troubled Malaysia and Thailand and sitting in the middle the extremely developed city state of Singapore, this region is nothing if not diverse. In this webinar Paul Danes, Portfolio Manager, Asia, will consider the opportunities, the current investment merits and asses the risks of investing in this dynamic and diverse region. We believe 2016 will be another challenging year for emerging markets companies. While all corporates are trying to improve their profitability and competitive position, for investors, the combination of macroeconomic and political backdrop – multiplied by the company’s earning position will determine the parameters for investment returns during the year. In our latest webinar, Kim Catechis, Head of Global Emerging Markets, will share his insights on the 2016 investment environment for companies in the asset class. We all know that companies do not operate in a vacuum. In their efforts to capture the best opportunities and ultimately generate positive stock-driven client returns, fundamental research-driven investors ignore the macroeconomic and political climate within which their companies operate at their peril. Asia’s equity markets have taken all the headlines in the last few months with China’s growth outlook and the direction of US interest rates at the top of investors’ agenda. Has the recent volatility created a valuation opportunity or are we likely to see further pressure on share prices across the region? Paul Danes, Co-Portfolio Manager of the Asia Long Term Unconstrained strategy, will share his thoughts on current market conditions across Asia, as well as valuations and expectations, on this live conference call. We are active equity specialists, driven by investment expertise and focused on managing money for a wide range of global clients.